Passionate about sharing my eclectic accumulated knowledge. Jeffrey has been a trusted advisor for several years, focused on working with entrepreneurs and helping them build and grow their business’, often from the ground up. His ability to work across a wide variety of industries is the result of a diverse investment background. As a Partner at a VC in NYC several years ago, Jeffrey’s strategy was to work with the entrepreneur to finalize the presentation, narrative, and story. Once ready, the fund would be the anchor investor and open up the round for others to participate. Jeffrey’s role, in particular, was to work with the entrepreneurs to validate their presentation, financials, and most importantly narrative. Jeffrey’s banking experience includes Morgan Stanley, running their syndication group for Private Wealth Management and HSBC where he led Wealth Management for Manhattan. 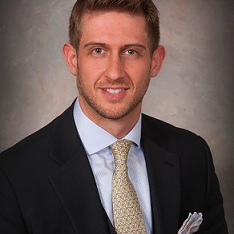 Jeffrey’s Real Estate experience includes co-founding a commercial/residential brokerage and working with a number of funding sources in providing short and long-term capital for real estate and other hard asset-based financings.